The LMS clasp brake system was used under numerous vacuum braked wagons built during the later LMS and early BR periods. LMS D.2150 5 plank open. 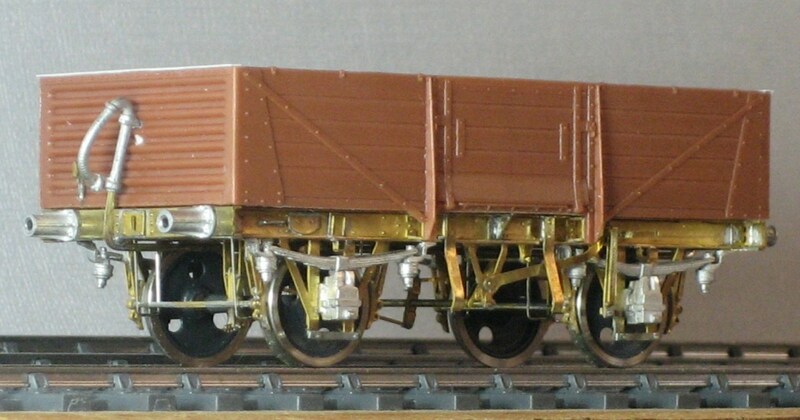 Modified Parkside body and chassis B.52. Both chassis include alternative parts to enable shock absorbing wagons, with their different brake lever position, to be built. This was something of a curiosity. It was only found under a handful of types, most important of which was the production Vanwides. 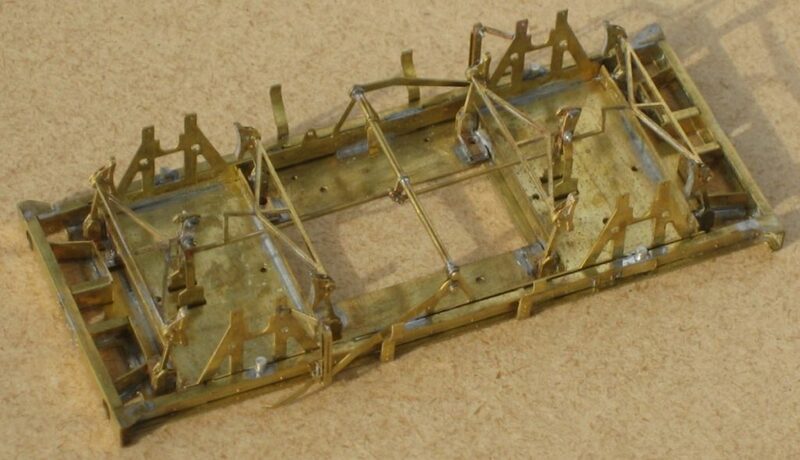 The following photos show the test etch built for a model of a lot 3082 Shocopen wagon. At the time when most BR vacuum braked wagons were being built with the standard BR clasp brake Derby came up with this hybrid which first went under lot 3082 Shocopens in 1958. Its development from the LMS clasp brake is immediately obvious but there were lots of differences including BR pattern brake shoes and an asymmetric clasp brake hanger arrangement. 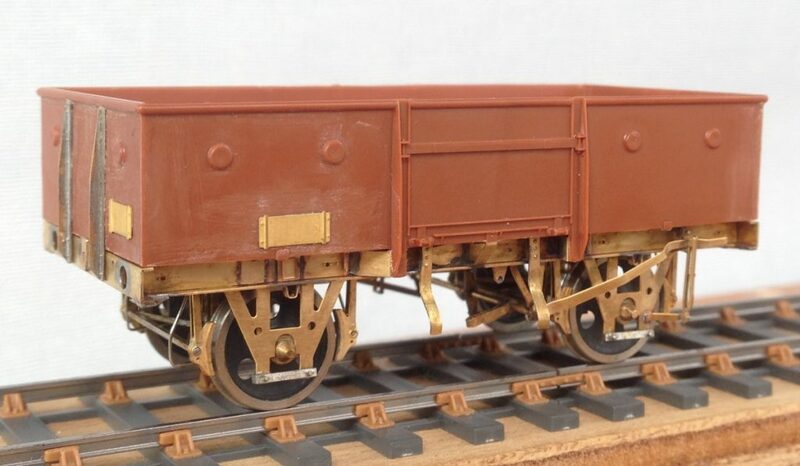 The brakegear type also cropped up under diagram 1/462 clasp braked Pipe wagons (a chassis for which is currently under development) and the diagram 1/221 ‘Izal’ Palvan. This, as far as I’m aware, was the entire scope of it’s usage. 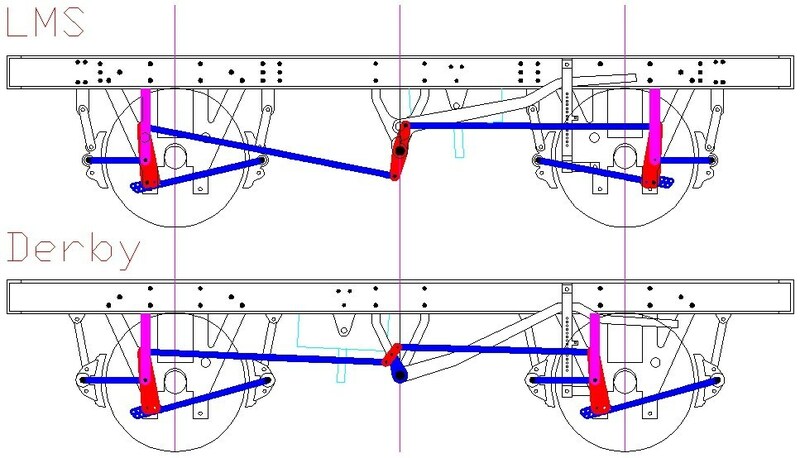 The diagram below gives you an idea of how it differed from the standard LMS clasp brake. BR 1/448 Tube. Parkside Dundas body and chassis B.54. The LNER clasp brake system used under several vacuum braked wagons built during the very late LNER and early BR periods. Only the BR axleguard fitted version will be available as Dave Bradwell already does a very good kit for the RCH axleguard version.